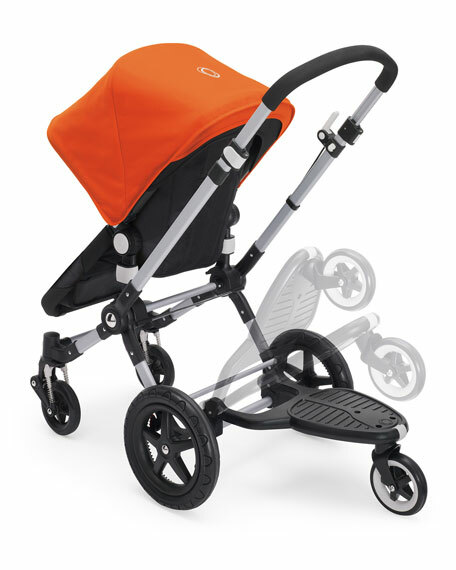 Bugaboo comfort wheeled board for toddlers. Left or right board positioning, based on preference. Self-supporting click system in 3 positions. New design creates 8 inches worth of more walking space. Detachable seat allows a standing or seated ride. Engineered to be robustup to a load of 20 kg/44 lbs. Seat can be stored in under-seat basket when not in use. Seat to be removed before folding up. 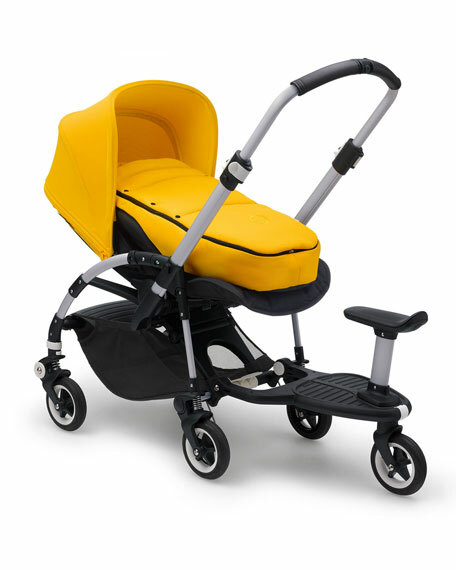 Directly compatible with the Bee⁵ stroller. Exclusively compatible with the 2017 Bugaboo Comfort Wheeled Board Adapters. Adapters sold separately. Not compatible with Bugaboo Runner. For in-store inquiries, use sku #2166869.